If there is a drug that can keep SEO professionals addicted, then it must be the SEO extensions/plugins. These are the smartest things that could possibly have made it into the lives of these practitioners. They have made life easier and work is more efficient and productive. When you need some advanced features, historical features, online support or increased limits, then you should not hesitate finding the best SEO extension for the job. There is no shortage of these in the market. On the contrary you will be completely spoilt for choice on the one that you should select. Let’s have a look at three of these tools and see why they make it to this list. The MozBar or Moz Toolbar, whichever way you would like to call it, is undeniably the best of the best. From the study, it received a staggering 56 votes, putting it ahead of all the others. The thing about the MozBar is its insightfulness. 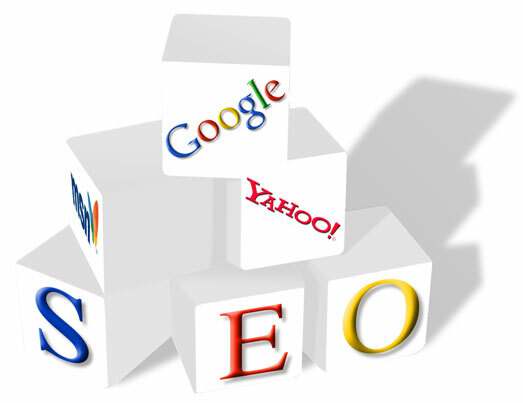 It presents its users with a whole lot of information regarding a site’s SEO. It has been developed with SEO in mind and as you probably know, metrics and SEO go hand in hand. As such the MozBar comes highly favored because it provides access to information such as PageAuthority, Domain Authority, Spam Score, page-level share counts and other details. Another reason why this tool ranks at the top of the list is because it provides wonderful information for link-building activities. There is no tool that can make link analysis easier than the MozBar. For instance, if you would like to know the quantities of the various types of links you have on your site, you will be able to do so effortlessly. The page highlighter will highlight the different link types using different colors. You will get to know how many internal backlinks you have as compared to the external backlinks, and followed links from no-follow links. The best part of it all is that you will not have to count. WooRank is one tool that has been said to be difficult to use. However, some leading SEOs insist that they cannot live without it. It is hard to use at first but then once you get an understanding of the ropes then you will have an easier time using it. There are two things that you will love about this one; specificity and convenience. Within a matter of seconds, it is going to provide you with a good snapshot of the elements that need to be worked on to improve a site. There is no need of spending hours on end trying to figure out what you need to tweet so that your site can perform better on the search engine’s ranking. On top of that it is going to provide you with specific insights that will help you in your efforts to enhance the performance of your site. When you get a paid WooRank account, you will be able to get even more information concerning a site’s ranking. No list of link analysis tools would be complete without the MajesticSEO. Anyone who wants to access backlink data will find this extension to be an amazing tool. With this tool, emphasis is placed primarily on the analysis of the links rather than the on-page elements. Just like Moz, it is favored because it offers a whole lot of information concerning a website. Its data is a little bit limited. But like WooRank, it also requires you to get a subscription so as to provide you with more information. The Redirect Path by Ayima has captured the eye of many a top SEO professionals. It is highly favored because of its wonderful performance. This is really fantastic for showing the HTTP response codes fast. It also shows the chain of redirects easily. When it comes to spotting problems when you are browsing websites, this is the best tool. There are SEO plugins and there are these six that have been mentioned above. These are the finest of the finest. They make work easier and more efficient for SEO professionals. Diagnosing problems and improving the performance of a site is made simple by these tools. Michael Bentos is an experienced digital marketer and part of the team at ParadoxSEO.com – the powerful platform that makes SEO simple. Some services he offers include SEO analysis, audits and consultancy for business within every industry in the economy. You can connect him via linked-in.